Silver Bullet is a 1985 horror film based on the Stephen King novella Cycle of the Werewolf. It stars Gary Busey, Everett McGill, Megan Follows, Corey Haim, Terry O'Quinn, Lawrence Tierney, Bill Smitrovich, Kent Broadhurst, David Hart, and James Gammon. The film is directed by Dan Attias and produced by Dino De Laurentiis. The film was made for an estimated $7,000,000, earned $5,400,000 in the U.S. market and nearly $13,000,000 internationally. It was filmed between October 1984 and December 1984. It was released in the U.S. on October 11, 1985. The film was shot in Burgaw and Wilmington, North Carolina. The UK DVD release of the film in 2001 contains the original movie trailer and spoken commentary by director Daniel Attias, both of which are unavailable on any other officially released DVD, including the US edition which was released on May 28, 2002. 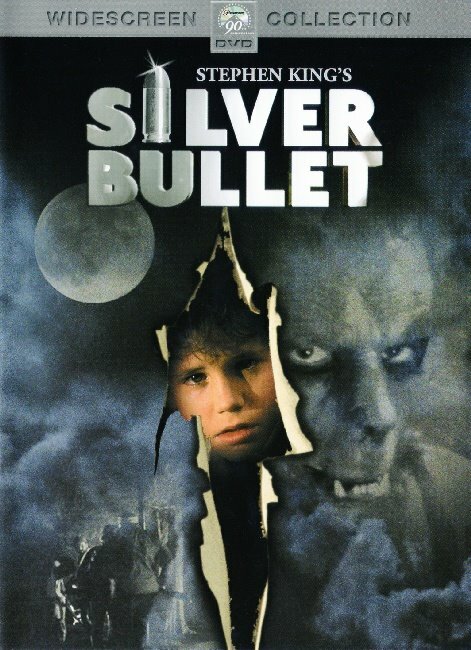 Foreign-language adaptations have often based their titles on some variation of "The Werewolf of Tarker's Mill" instead of "Silver Bullet".